If you have a business that requires materials handling equipment in Mattoon, Illinois, you will be pleased to know that Bahrns Equipment, Central Illinois' premier materials handling equipment supplier, offers a forklift rental service for the Mattoon area. 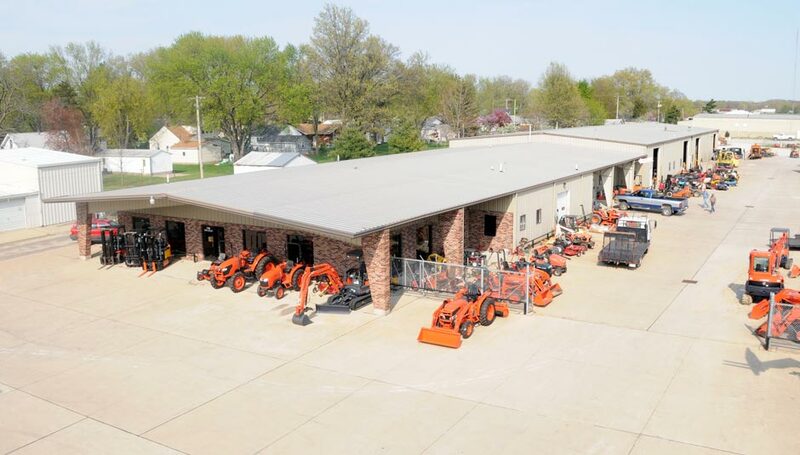 Established in Effingham in 1966, Bahrns Equipment has steadily grown and has been servicing the Mattoon area for many years. Those who have dealt with Bahrns Equipment in the past know that they can rely on this company to provide them with the best materials handling products on the market at the best prices, backed up by unparalleled customer service. This is how Bahrns established its reputation and how it intends to maintain its reputation in Mattoon. 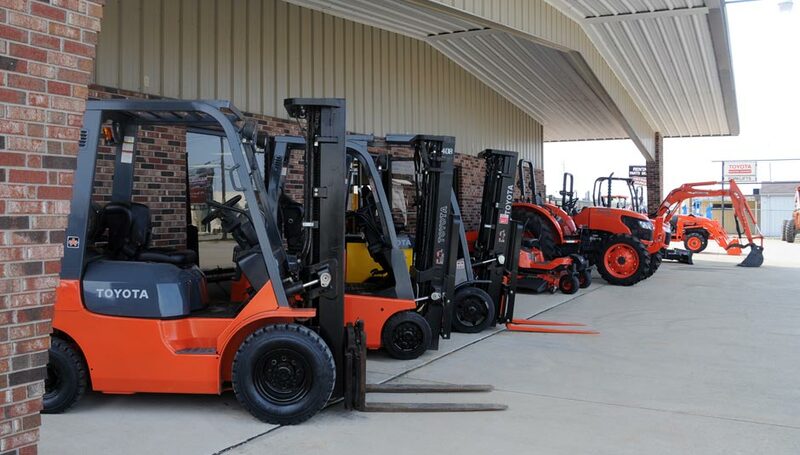 Unlike other forklift rental companies in Mattoon and surrounding areas, Bahrns does not have just a few standard cushion or pneumatic tire forklifts for rent. 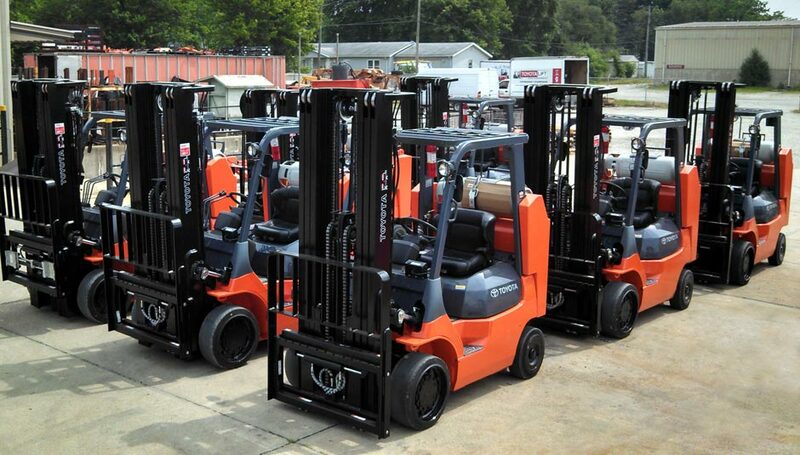 They can provide you with any class of forklift you need. These include: - Class I Electric Motor Rider Lift Trucks - Class II Electric Motor Narrow Aisle Forklifts - Class III Electric Motor Hand Trucks or Hand/Rider Trucks - Class IV Internal Combustion Cushion Tire Forklifts - Class V Internal Combustion Pneumatic Tire Lift Trucks - Class VI Electric and Internal Combustion Tractor Trucks - Class VII Rough Terrain Forklift Trucks With large facilities available in nearby Effingham and St. Joseph, your Mattoon forklift rental is backed up by Bahrns' large scale operations, including their superb service facilities and experienced staff. Contact your Bahrns forklift rental representative for the Mattoon today and discover the Bahrns difference. 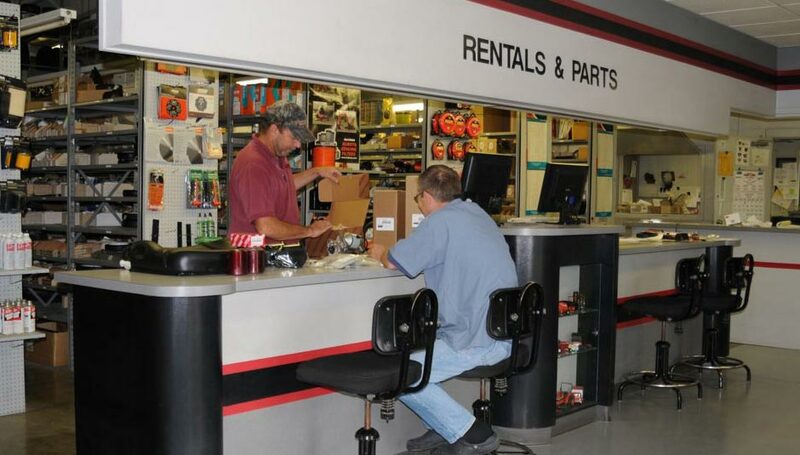 What Makes Bahrns Forklift Rentals in Mattoon Different? The Bahrns name is what makes the difference. 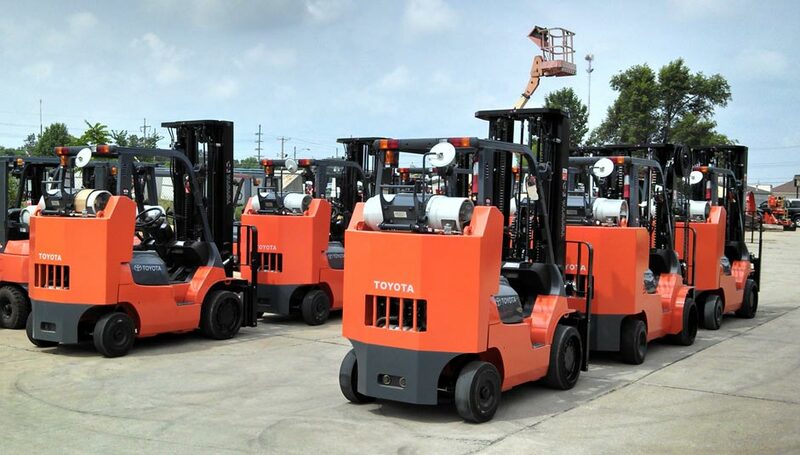 Originally established as a warehouse supplies business, Bahrns continued expansion led to the establishment of its ToyotaLift forklift sales business. Because Toyota's reputation for quality is second to none, it demands the same level of quality from those companies who operate under the ToyotaLift name. 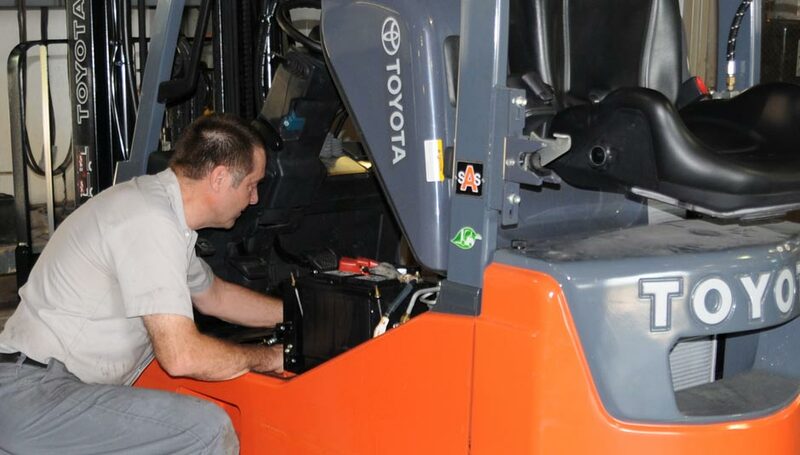 Before any used Toyota lift truck can be put on the market, it must undergo an exhaustive inspection to ensure the customer is getting a safe and properly running used lift truck. 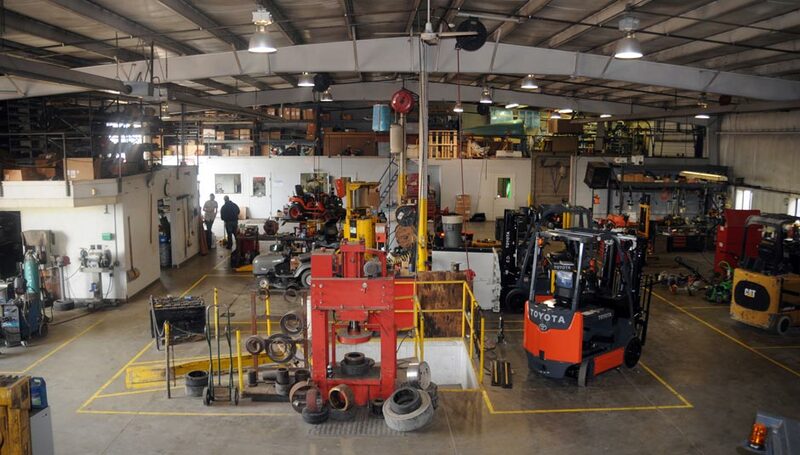 This rigorous quality inspection procedure extends to Bahrns' forklift rentals for Mattoon and throughout Illinois, whether they are Toyota or other brands of forklifts. Bahrns knows that every forklift rental that leaves its premises is an example of what customers can hope to find when they become Bahrns Equipment customers. Another thing that makes Bahrns forklift rentals for the Mattoon area different is the company's expertise in the materials handling world. In its 45 year history, Bahrns has provided services to Central Illinois businesses of all sizes, from the smallest single owner establishment to the largest warehouses and industrial complexes in the State. Especially when they need to rent a lift truck, many businesses know only one thing: that they need a forklift. They often don't know what kind of lift truck they need. When they turn to Bahrns for their forklift needs, they will get exactly what they need to get the job done. Our impressive Effingham warehouse facility is located in the southern area of the city, just a few minutes south of Effingham train station along S Banker St. Coming from Mattoon, highway I-57 S is the fastest route down into Effingham. The journey takes about 35 minutes by car. Find driving directions below. Visit us in person and let's find you the forklift rental you need.